Indeed, working in the soil is a good you on many levels, not least on the spiritual and affective levels. We know getting out in the fresh air and working is good exercise. Experience tells me that our whole disposition changes for the better. There is a story that when a certain Dominican nun who was having a difficult day with the novices, she would go to the garden in her monastery. Sr. Columba also encouraged the novices to do the same. This past week I’ve been settling my commitment to my small agriculture for 2018 with the ordering of some new bee hives, placing an order for new honey bee colonies. This year, I am getting a new species of honey bee from Canada called Saskatraz. This past year I year I had some sort of Russian-mix bee. But I had some issues with the colonies and it’s very possible that only one of three colonies survived. Committing oneself to the honey bee is a commitment to a 100 million year history of life. The honey bee is one of the most amazing insects God has given us! 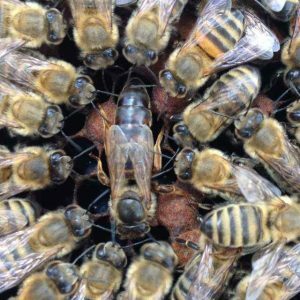 You can’t underestimate the importance of the honey bee in human and animal life. And yet, we humans are not too aware of our actions that obstruct or even kill the bee due to shallow desires like the eradication of dandelions and white clover. Nevertheless, I am doing my part. I daily pray for my honey bees and I have developed an affection for them. Likewise, I am beginning to organize my mind on what may be planted. 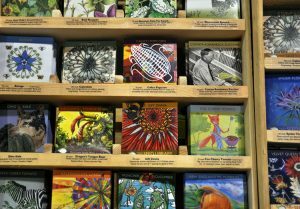 With all the seed catalogs I’ve received there is no shortage of ideas; there is a shortage in space and energy to do the work. Back in November 2017 I planted approximately 15 pounds of garlic in the various gardens I oversee. As a side note, I ran across a CNN article on the papal garden. Now while the Pope says he’s committed to good ecology and the connection with Faith, he doesn’t personally plant and tend the garden on his 62 acre farm. A shame. But the Roman Pontiffs of recent years have had some sort of garden at the summer residence, Castel Gandolfo, just outside of Rome feeding the pope and his guests. Yet, there is a good example set by Pope Francis in is his desire for fresh food. Apparently, he gets a daily basket of fresh produce which may include seasonal items like broccoli and cauliflower but he also gets handmade cheeses, milk, eggs and yogurt are also made fresh each day. The papal farm has seven farmers and several nuns who make high-quality olive oil cold-pressed by granite stone from a 1000 olive trees (some dating back to AD 1200), 30 cows, and chickens for nutrient dense eggs and meat. Here’s a brief video. Lots of work to be done in the next 69 days.